Key Stage 3 incorporates the first 3 years of secondary school (Years 7 – 9). Our curriculum follows the English National Curriculum by providing a broad, balanced, education which is enhanced by the Cambridge Secondary 1 programme in English, Maths and Science. Students will build on and consolidate the skills and knowledge which they have learnt in the Primary School. This will prepare them for the demands of the examination courses they follow in Key Stage 4 and 5. Students are taught in mixed ability classes for all subjects except English. The Key Stage 3 programme of study aims to develop the key skills to enable our students to embrace lifelong learning required for our ever-changing globalized world. For many students they will experience the onset of adolescence at some point during these years. It is therefore appropriate that students of this age experience an educational environment that will help them to learn and help them to cope with the mental and physical changes that occur during adolescence. It is to help students manage the change from childhood to adolescence that the curriculum includes Personal, Social and Health Education (PSHE). To allow students to develop further as independent, inquisitive, creative, critical thinkers and learners. To allow students to develop as individual personalities while maintaining a consideration and compassion for others. To act as a transition phase between the primary education and the onset of courses leading to external examinations (GCSEs and the IB Diploma). Foundation Subjects: Art and Design, Drama, History, Geography, ICT, Music, Physical Education. The assessment of a student’s progress is carried out via a mix of classwork tasks, assignments and homework tasks and, of course, tests and examinations. Teachers comment frequently on progress via the school’s Educare Learning Management System which means parents can feel confident that they always have an up to date impression of their child’s progress and performance. All students in Key Stage 3 will be guided through a balanced and rich selection of courses and subjects during their first years of secondary schooling. The pedagogical style of teaching within Key Stage 3 endeavours to meet the needs of the individual student and to engage and extend them in their academic development. It is a very exciting time for the students as they move from the primary to the secondary school with the increased responsibility and individualism that entails. For some it can be stressful, we aim to make the transition from primary schooling as painless and as stress-free as possible and to make them feel as prepared as possible when they embark on their examination courses in Year 10. Homework is a key part of the education here at ISB and parents are encouraged to keep a close eye on the homework tasks your children are undertaking. Homework is planned to extend and consolidate the learning and will be a mix of short and long term tasks and assignments. Key Stage 3 homework is issued in a manner to ensure even distribution of work throughout the week and, in accordance with current research, to ensure students are not overloaded on any evening. Show a keen interest in, and appreciation of, the work being done. Encourage your child to take more responsibility for his/her own learning: to complete homework punctually and prepare thoroughly for tests and assessments. Support and encourage your child through these formative years by paying attention to their sense of wellbeing and self-esteem. Try to provide the materials/resources at home which will support learning. Monitor homework/assessment grades to ensure good progress is being made. Contact the school if you feel progress is unsatisfactory or if you need further advice to support your child’s progress. Early in Year 9, students have the opportunity to sit an on-line careers and aptitude test which allows students to gain an idea of how their interests and academic skills match with possible careers. The academic programme that we offer in Years 10 & 11 (together known as Key Stage 4) builds upon the skills that have been developed at Key Stage 3. All students are required to study a two-year programme leading to the International General Certificate of Secondary Education. The curriculum includes 4 core subjects of English, Mathematics, Global Perspectives and a Modern Foreign Language as well as a compulsory non-IGCSE course in PE and Personal, Social and Health Education (PSHE). In addition, all students take 4 option subjects; one of these must be a Science subject and one a Humanities subject. The remaining two choices can be from the Arts or additional subjects from the Humanities or Sciences. We believe that this range gives students the breadth of knowledge and skills required to be successful in the modern world and lead them to understand the importance of an international outlook and range of expertise. It also ensures they are taking a suitable spread of subjects to aid their transition to the IB Diploma in Year 12. Our subject choice structure also ensures that students are eligible for the Cambridge International Certificate of Education (ICE). There are slight changes made to the position of each subject in the option blocks each year and the latest version can be found in the current version of the IGCSE Options Booklet. It is a big transition moving to Key Stage 4; be it within ISB or transferring to us from another school. Almost overnight, teachers will be expecting a more mature approach to study and a more organised and independent attitude to learning. It is vital to begin Key Stage 4 with a good understanding of what the expectations are and what makes a successful IGCSE student. There is the opportunity to find out about the IGCSE courses whilst in Year 9 and there will be some preparation in Term 3 for the demands of the Key Stage 4 programme. It is the first time that students are able to make major decisions about the subjects they would like to study and it is important that these decisions are carefully thought through. We believe that students have the maturity and vision required to make these choices and expect them to begin Key Stage 4 with enthusiasm and academic rigour. An important part of studying at ISB is the guidance and support delivered by highly experienced staff on both a group and personal level. All students have a tutor who will normally be with them for the full two years and who will ensure that all students make the best possible progress. The tutors are supported by a Key Stage Leader. All tutors teach in KS4 and are also responsible for delivering most of the PSHE programme to their tutor group so they are therefore aware of the curriculum content and the problems that may be encountered. Tutors also act as an important link with parents whose role is vital in the success of all students. Each IGCSE subject is assessed at the end of Year 11 through a mixture of coursework and external examination. The grades are published in August each year. IGCSEs are graded from A* (the best) to G (the poorest). 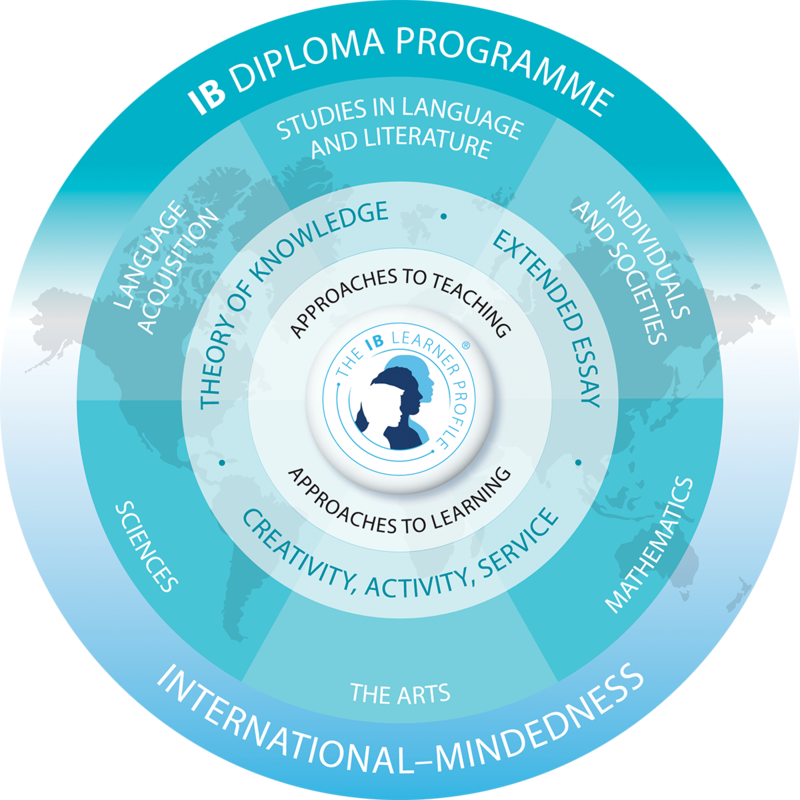 Grades A*; A; B and C are considered to be good passes and for entry to our IB Diploma programme in Year 12 students are expected to gain 5 or more good passes. DP students must choose one course from each of five subject groups delivering a breadth of knowledge and understanding in their best language, additional language(s), individuals and societies, the sciences and mathematics. Furthermore, students must also choose either an arts course from the arts group or a second course from a choice from Group 3 and Group 4. DP courses can be taken at higher level or standard level. Three are taken at higher level (240 teaching hours), while the remaining courses are taken at standard level (150 teaching hours). Students study and take examinations in English. In addition to the academic subject studies, the DP features three core elements that broaden students’ educational experience and challenge them to apply their knowledge and skills. The extended essay asks students to engage in independent research through an in-depth study of a question relating to one of the DP subjects they are studying. Our IB programmes are taught by teachers who explicitly help students learn how to develop the attitudes and skills they need for both academic and personal success. There are six key pedagogical principles that underpin all IB programmes. Students develop essential skills that include skills of behaviour and emotional management, skills that allow the student to monitor their own effectiveness in their learning and skills that allow them to process information effectively (often called “study skills” in a school environment). Although these skills may be in use when developing a certain natural ability or talent, they are different from both ability and talent themselves because proficiency in any skill can be increased through the deliberate use of techniques and strategies, feedback and challenge. Skills are therefore highly teachable. Although these are presented as distinct categories, there is some overlap and close connections between them. These categories should be seen as interrelated as well as linking closely with the attributes highlighted in the IB learner profile. IB students work to become inquirers, knowledgeable, thinkers, communicators, principled, open-minded, caring, risk-takers, balanced and reflective. These attributes represent a broad range of human capacities and responsibilities that go beyond intellectual development and academic success. Students take written examinations at the end of the programme which are marked by external IB examiners. Students also complete assessment tasks in the school which are either initially marked by teachers and then moderated by external moderators or sent directly to external examiners. The marks awarded for each course range from 1 (lowest) to 7 (highest). Students can also be awarded up to three additional points for their combined results on theory of knowledge and the extended essay. The diploma is awarded to students who gain at least 24 points, subject to certain minimum levels of performance across the whole programme and to satisfactory participation in the creativity, activity, service requirement. The highest total that a DP student can be awarded is 45 points.